简介: This course provides those involved in educating members of the health professions an asynchronous, interdisciplinary, and interactive way to obtain, expand, and improve their teaching skills. These skills can then be applied within their own professional context, with a variety of learners, extending across many stages. 简介: What is the Internet? How was it created? How does it work? 简介: This comprehensive course will give you the fundamental knowledge needed to begin performing cataract surgery by phacoemulsification and extracapsular removal. Each step from preoperative evaluation to postoperative care will be covered to help prepare you for the operating room. 简介: This course will introduce you to frameworks and tools to measure value; both for corporate and personal assets. It will also help you in decision-making, again at both the corporate and personal levels. 简介: This course provides an introduction to the field of Natural Language Processing, including topics like Parsing, Semantics, Question Answering, and Sentiment Analysis. 简介: In this course, you will learn how to characterize the energy state of a system and the mechanisms for transferring energy from one system to another. These are the tools necessary to understand stationary and transportation power systems from small scale, like batteries, to large scale, like nuclear power plants. 简介: Everyone in education has questions – Practical Learning Analytics is about answering them. To be practical, we’ll focus on data every university records; to keep things interesting, we’ll examine questions raised by many audiences; to ensure impact, we’ll provide realistic data and example code. 简介: This course is an introduction risk and return and a study of bonds and stocks. Although introductory, it will enable college students and working professionals to understand and analyze many personal and professional decisions they confront on a daily basis. 简介: This course is an introduction to time value of money and decision-making and will help the learner understand the basics of finance. Although introductory, it will enable you to understand and analyze many personal and professional decisions we confront on a daily basis. 简介: This course aims to teach everyone to learn the basics of programming computers. The course has no pre-requisites and avoids all but the simplest mathematics. Anyone with moderate computer experience should be able to master the materials in this course. 简介: This course will cover the basic elements of designing and evaluating questionnaires. We will review the process of responding to questions, challenges and options for asking questions about behavioral frequencies, practical techniques for evaluating questions, mode specific questionnaire characteristics, and review methods of standardized and conversational interviewing. 简介: In this course, you'll learn what every citizen should know about the security risks--and future potential — of electronic voting and Internet voting. 简介: Students who have successfully completed this course in-person have described it as a survey class on sleep that is team taught by experts. 简介: This course will use social network analysis, both its theory and computational tools, to make sense of the social and information networks that have been fueled and rendered accessible by the internet. 简介: This comprehensive course covers the negotiation strategies and skills that are necessary for business success. 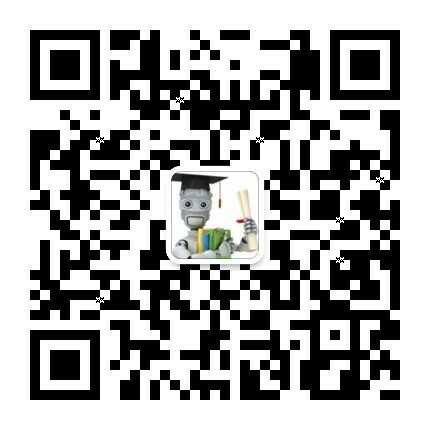 简介: The purpose of this course is to improve feedback, clinical teaching, and assessment of clinical skills. 简介: This course is an introduction to the finite element method as applicable to a range of problems in physics and engineering sciences. The treatment is mathematical, but only for the purpose of clarifying the formulation. The emphasis is on coding up the formulations in a modern, open-source environment that can be expanded to other applications, subsequently. 简介: In this course, you will learn about the structure, accomplishments, and shortcomings of the US healthcare system, and how those have prompted attempts at reform. You will also take part in a unique, national group exercise, designed to help you understand how you can improve the US healthcare system. 简介: This is Capstone Project that is the natural culmination of the Specialization and offers qualified learners to apply their knowledge to analyze a real company or complex project. It will reflect the most salient features of the real world that you are likely to confront. 简介: This course is a rigorous introduction to alternative methods of valuation and will enable the learner to conduct analysis of most projects and companies. This course will also serve useful to anyone interested in, or required to, critically evaluating project and company analyses conducted by experts. 简介: This course is a theoretically sound and practical exposure to valuation. As the final course of the Specialization, it will be useful to anyone in understanding, conducting or critically evaluating project and company analyses conducted by experts.